The perfect excursion for those wishing to discover the history and architecture of the fascinating Latvian capital with its local flavours and traditional music: museums, monuments, lunch and local beer for an unforgettable day. We will set off by coach and travel along the streets of central Riga, where we will admire extraordinary examples of Art Nouveau architecture dating back to the turn of the 20th century, and the extraordinary Freedom Monument, a symbol of the Latvian people's fight for independence. We will visit the Old Town and its famous architectural monuments including the Gothic St. Peter's church which, with a height of 123 metres, was the highest building in Europe until the Second World War. Two more famous churches on our route are St. George's and St. John's, with a courtyard of the same name. The latter forms part of the restored walls and is today is home to a museum of applied arts. We will continue to the heart of the historic centre and arrive in Cathedral Square, where we will admire the Cathedral from the exterior. Along the way, we will discover the Three Brothers, three adjacent buildings so-called for their very similar appearance, St. John's Church (13th century) and Riga Castle (14th century). 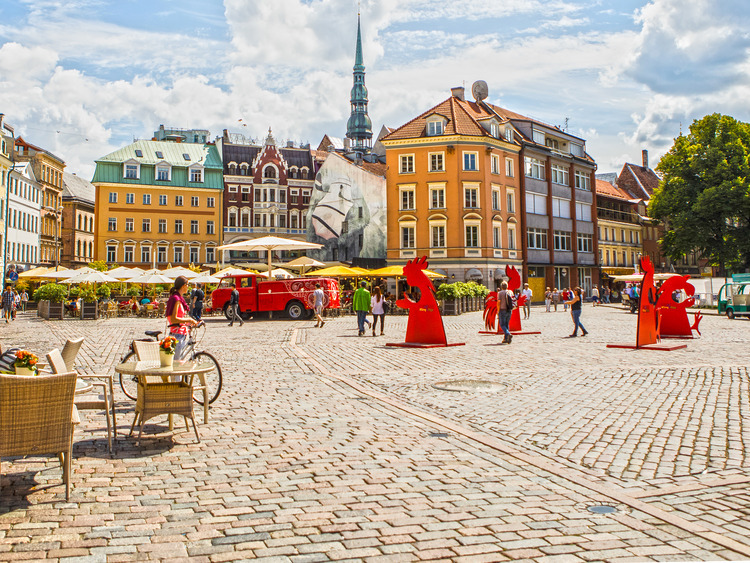 At the end of our visit to Old Riga, we will return to the coach and head for the famous LIDO recreation centre, where we will enjoy an excellent lunch with local beer. There will be one final stop before returning to the port: the Latvian Ethnographic Open Air Museum. Founded in 1924, it is immersed in a pine forest on the banks of Lake Jugla, around 12 km from the capital's centre. It occupies a surface area of 100 hectares and is composed of 90 traditional buildings, all open to the public. There, we will visit its farms, windmills, fishermen's huts, churches and wooden alehouses dating from the 16th to the 20th century, from four of the main provinces in Latvia: Courland, Vidzeme, Latgale and Semigallia. And to top it off, our day will end with a brief performance of traditional Latvian music. The excursion involves walking on uneven ground, it is therefore recommended to wear comfortable shoes and clothing.